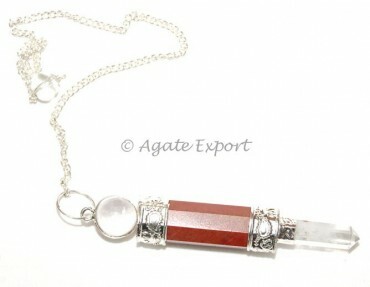 Peach Aventurine 3 Pcs Pendulum connects your mind and heart and enhances your creativity. This alluring pendulum has a crystal ball and a crystal pencil attached to a finely carved, polishes peach aventurine stone. 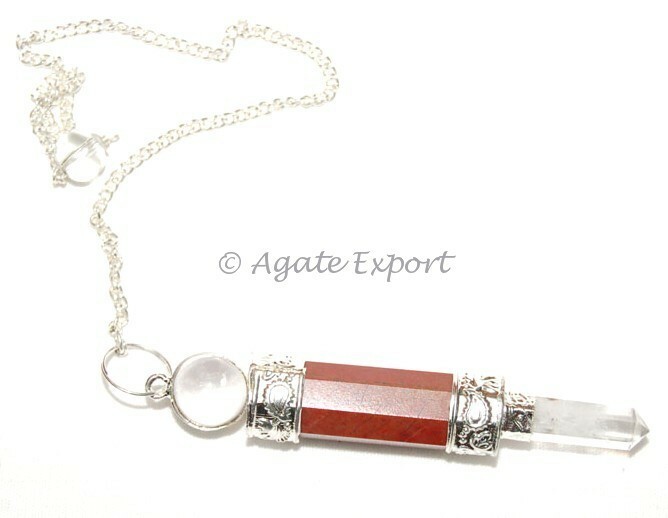 It can be availed from Agate Export. Crystal Mercaba Star 3 Pcs Pendulums. Yellow Quartz Chkara Sanskrit Pendulum.